The weekend Festival and Open Day was a great success with a good number of volunteers and many visitors over the two-day event. Friday volunteer numbers were down (probably as it’s a weekday) but, on Saturday, we were oversubscribed. Saturday’s volunteers and crew. Left to right: Chon, Tracey, Al, Darren, Alex, Vanessa, Bill, Patrick, Andy and Mark. Front row: Lily, Indiana (Bones) the dog and Lucas. 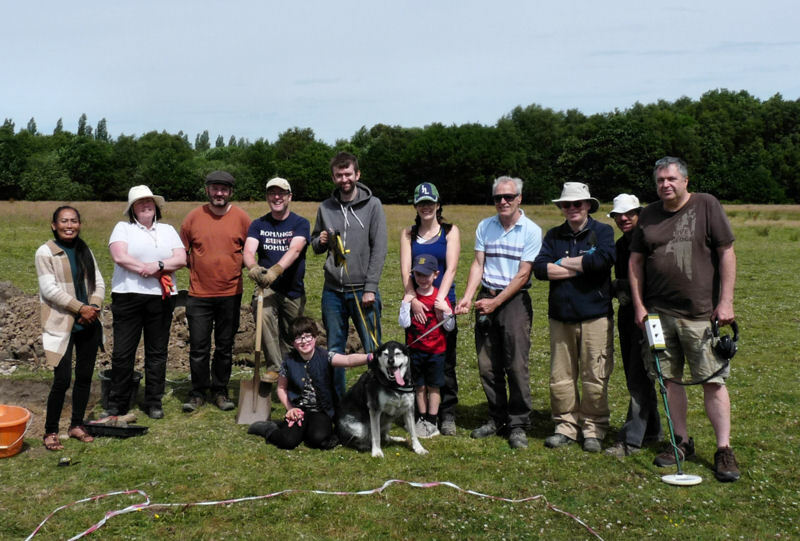 Throughout the two days we had a constant stream of visitors, particularly from the local residence who were keen to have a look at the Roman road we had discovered on their door step (encourage to have a look by Trevor acting as gatekeeper). It was particularly pleasing to see David Ratledge who hasn’t been too well recently – his Gazetteer of Roman Roads in Lancashire is quite comprehensive (and he’s currently working on roads in Cheshire – we all wish him well on this project). 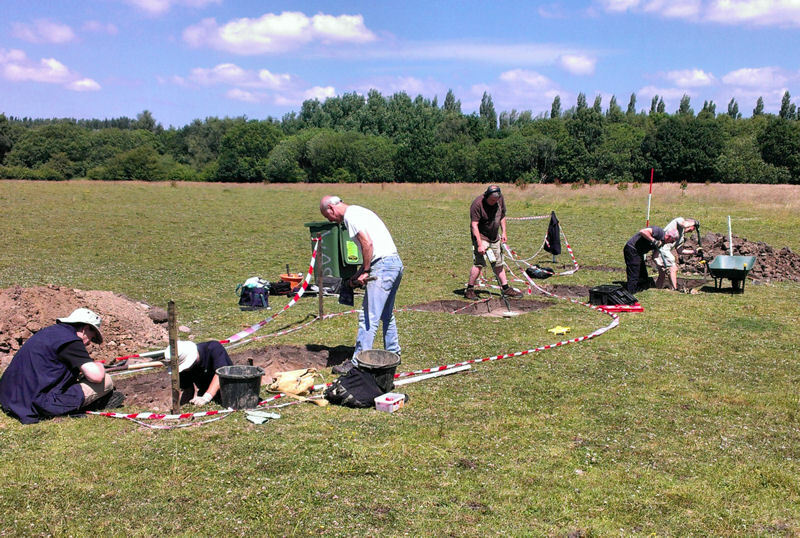 Much Progress was made on searching for the Roman road between Wigan and Walton-le-Dale and you can see the details of our work here.